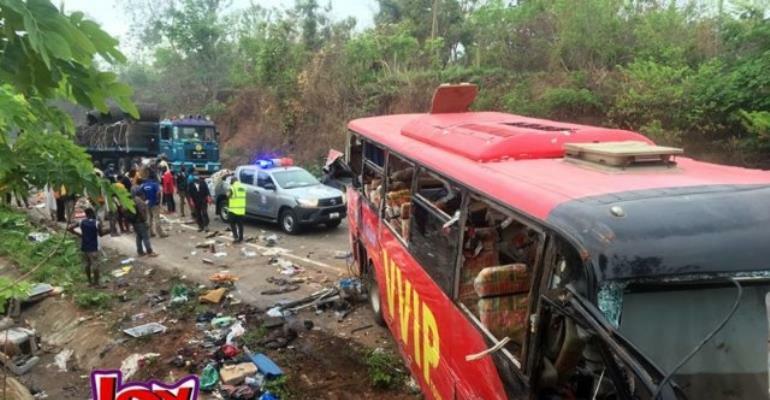 Over 90 people yesterday died in two separate accidents on the Kintampo Atebubu and Cape Coast roads. 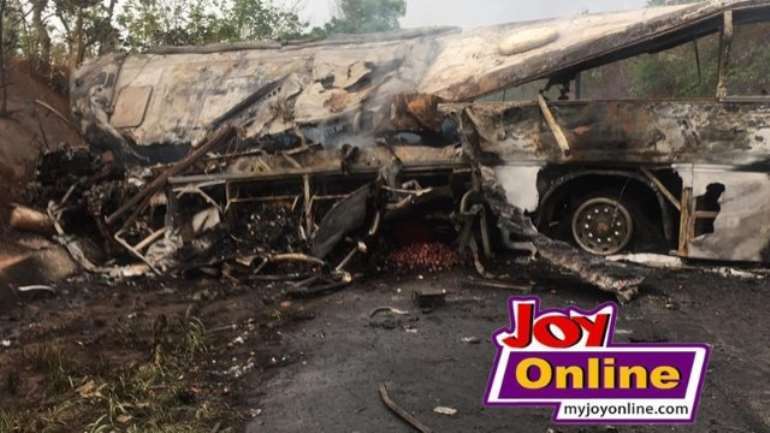 In his response to the sad incident, President Akufo-Addo called for the immediate implementation of recommendations reached by the inter-ministerial committee on road safety set up last year. But private legal practitioner, Ernest Kofi Abotsi said the recommendations itself won’t solve the problem unless there is a policy framework in place. On his part, media practitioner Randy Abbey is convinced government is only paying lip service to the implementation of the recommendations. “So this is an action plan, approved by the President announced on 16 of April 2018. We are here, a year on, and we are discussing 90 people dying on a weekend. We love to talk!” the Good Morning Ghana host on Metro TV reiterated his earlier observation. However, the National Road Safety Commission (NRSC) says it has already started implementation of the inter-ministerial committee’s report. Director of Planning and Programmes at the Commission, David Osafo Adonteng says work has started. “There were various line of actions, for education, enforcement and engineering. The Education aspect, the NRSC was to spearhead it and that was like the President pledging ¢6.5 million for the Commission to scale up the education which he has fulfilled and we are already implementing since December,” he said. According to him, the police enforcement unit wanted approval for them to adopt cameras or technology to enforce road traffic regulations especially on speeding, which is yet to be done. He said the Ghana Highway Authority and the Department of Urban Roads also wanted ¢300 million to do road markings, signage and traffic lights to enforce safety but they are yet to receive the money. He said the police needs approval from the Police Council to get to work on enforcement.